LEGO Fan and flickr.com member BrickCurve shared his latest MOC with perfect color-scheme. The Cottage In Autumn is nearly just builded with leaf pieces. 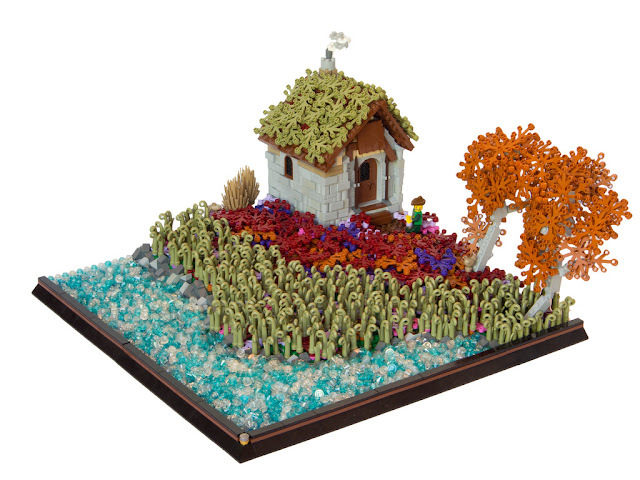 This MOC reminds me gardens of Nederland. BrickCurve perfectly used leaf pieces to create a dynamic garden scenery.